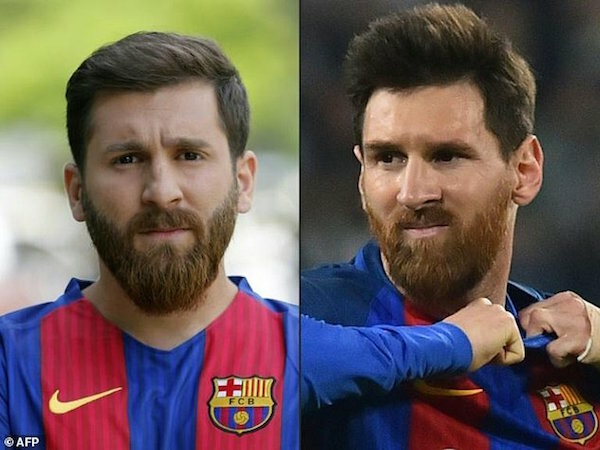 Iranian student Reza Parastesh looks so much like his sporting hero Lionel Messi that it almost landed him in jail for disrupting public order this week. 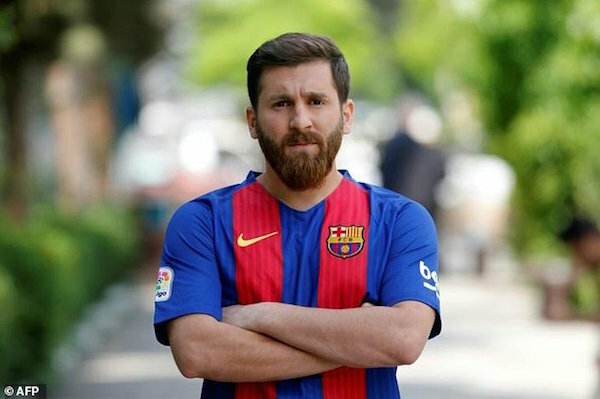 The furore began a few months ago when Parastesh’s football-mad father pressured the 25-year-old into posing in a number 10 Barcelona jersey and sending the pictures to a sports website. “I sent them one night and by the morning they had called me and said I should come in quickly for an interview,” he told AFP. It has paid off — he is fully booked with media interviews and has even landed modelling contracts. 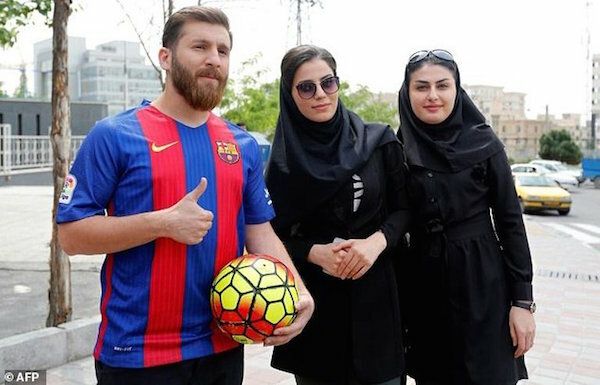 “Now people really see me as the Iranian Messi and want me to mimic everything he does. When I show up somewhere, people are really shocked,” he said. 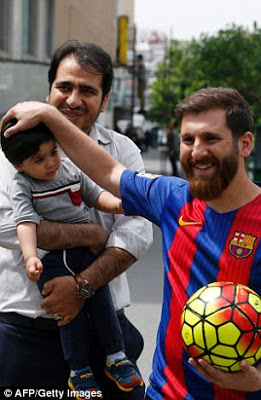 “I’m really happy that seeing me makes them happy and this happiness gives me a lot of energy,” he added. 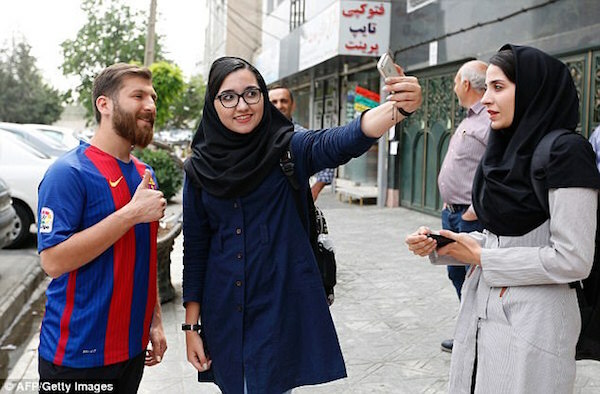 He remembers very well the last game between Iran and Argentina during World Cup 2014, when Messi’s 91st-minute goal robbed the Islamic republic of a place in the last 16. “After the game, my dad called me and said don’t come back home tonight… why did you score a goal against Iran? I said: But that wasn’t me!” Parastesh said, laughing.